If you’re going to enter the Michael’s Trick Your Pumpkin sweepstakes, you need to make a pumpkin that really stand out! If you’re not familiar with the Trick your Pumpkin program. You can enter now until October 31st. Just take a picture of your amazing pumpkin and post it to Instagram with hashtag #trickyourpumpkin to be entered. 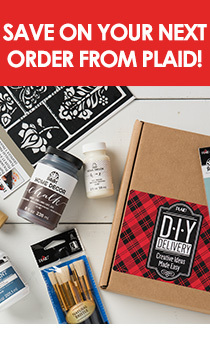 Then watch for a comment from @michaelsstores on your photo and let them know you would like to be entered into the $250 gift card and Plaid products! Make your pumpkin a Chalkboard Pumpkin and design it even further with colorful chalks. We hope these give you some great ideas for your pumpkin this year.